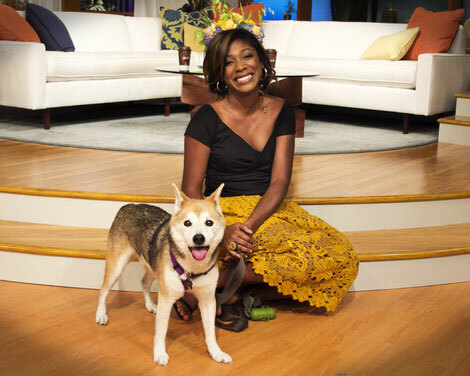 Had so much fun with my dog Marco in the studio for National Dog Day! He totally brightened my day and seemed to lighten the mood in my office (he even went to meetings with me, too)! Turns out there is actual research that says dog-friendly office environments improve productivity and create happy employees. Here's a link to more from the Humane Society's All Animals magazine: Could Your Office Go Pet Friendly? Does your job have a dog-friendly policy? Can you bring your dog to work sometimes if you need to? P.S. - Marco is a Shiba Inu!